Augusta Massey, Esq. is a successful lawyer practicing in fabulous Las Vegas, Nevada. She is an author, lawyer, mediator, arbitrator and proud mother of two beautiful children. 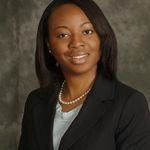 Along with her husband, she is active in her community and spends her time giving back to aspiring and burgeoning attorneys. Ms. Massey wrote this self-help book to assist other lawyers in achieving the practice of their dreams. Success! Lawyer Up! sold 60 pre-orders by Sept. 16, 2015, and will be self published. + Early Access to digital eBook upon its release in PDF, EPUB or MOBI format. + One (1) copy of the paperback edition of LAWYER UP! HOW TO BE THE BOSS AT YOUR OWN LAW FIRM, delivered anywhere in the U.S. with Free Shipping. + Two (2) copies of the Early Access paperback edition of LAWYER UP! HOW TO BE THE BOSS AT YOUR OWN LAW FIRM, delivered anywhere in the U.S. with Free Shipping. + You will also receive a personalized "Thank You" on my next TV or Radio appearance to launch the book and a personal shout out on my Facebook page. + You will receive the ATTORNEY - (Paperback + eBook+TV) Bundle for your support. + Plus One additional copy i.e. total of three (3) copies of the paperback edition. + As appreciation, all three copies will be personally autographed by the author. + And you will receive a LIMITED edition quality LAWYER UP! T-Shirt (please indicate your size). + You will receive all the JUDGE - Autographed Copy + T-shirt Bundle for your support. + You also get the opportunity for a one-on-one coaching or online/offline hangout session (up to 2 hours) with the author to help you not only create an enticing beginning to your book or legal practice, but also formulate a step-by-step process in becoming successful on your entrepreneurship journey. * (Free shipping within U.S. and internationally). + You will receive five (5) author-signed perfect binding bundle for your support. + You will receive Three (3) LIMITED edition quality LAWYER UP! T-Shirts (please indicate your size). + You will also have opportunity for a 1-on-1 consulting session with the author to discuss any business area of interest where the author may provide professional support (up to 2 hours). + More importantly, you will receive a FREE half page advertising opportunity in the back pages of the paperback copy. This is a chance to get FREE exposure and to get your company in front of thousands of potential clients forever. I have tried not to bombard you with too many emails during this campaign, but we are now at the last stretch. I want to use this opportunity to say THANK YOU so much for your early and ongoing support. Words cannot start to express the number of emotions I am feeling right now. The last 12 days has been eye-opening and nerve racking as well. But I am so grateful for all of you. I appreciate you standing by me during this publishing journey and I am thankful for all the lessons learned. So far, we have raised $1,155 out of $2,500 as of September 12. HURRAY!!! Your contributions means more than you know. The campaign should be wrapping up by the 15th, and shortly after, I intend to mail you your package. Please take pictures when you receive it and share with me. In the interim, don't forget to share the link with your friends :).